PAYMENTS AS LOW AS $788 PER MO O.A.C. CURRENTLY OUTSIDE BUT CAN BE MOVED INSIDE OUR HEATED SHOWROOM FOR YOU TO VIEW IN COMFORT! 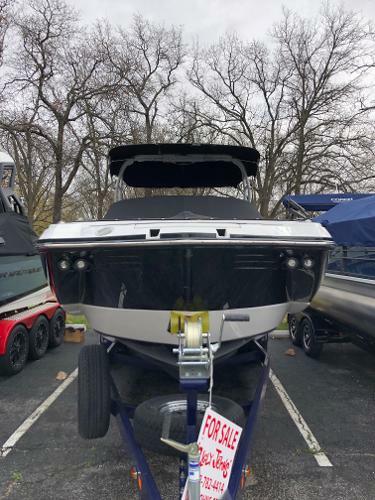 PRICED TO LOW TO ADVERTISE, PLEASE CALL OR STOP IN FOR BEST PRICE ON THIS 2019 M65 with Mercury 400 R & Trailer! 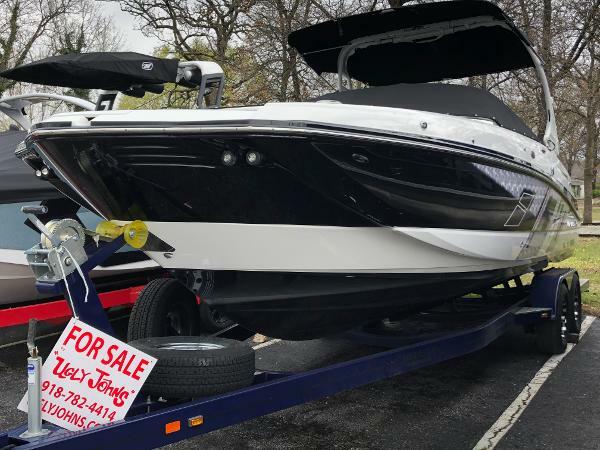 NEW 2019 Monterey M65, an absolute Show Stopper! 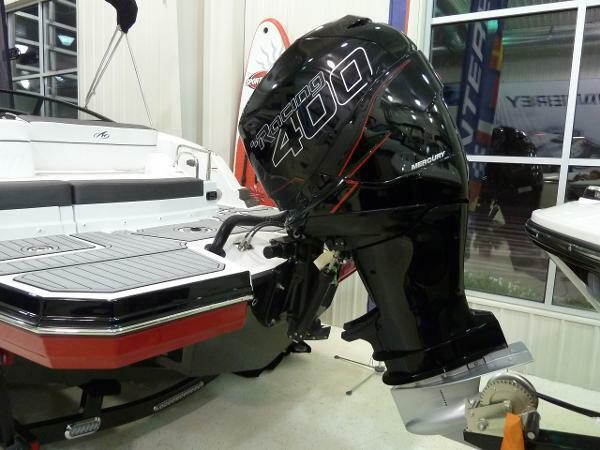 The Rio Red Hull with Black Bottom will stand out in a crowd! 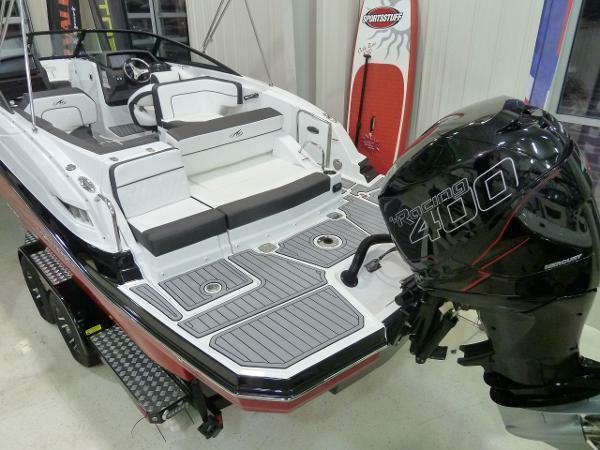 This maybe a family day boat but this boat truly has the appearance of a High Performance Boat and the Mercury 400 R Sets the Tone! 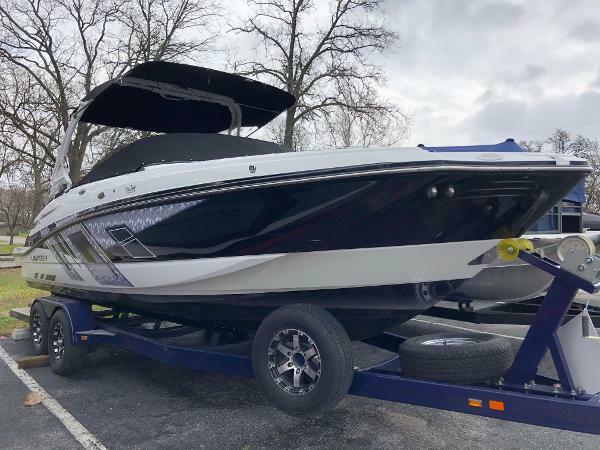 This boat is deep, wide and heavy offering a smooth quiet ride that any Captain & Crew will enjoy along with Blazing Performance! 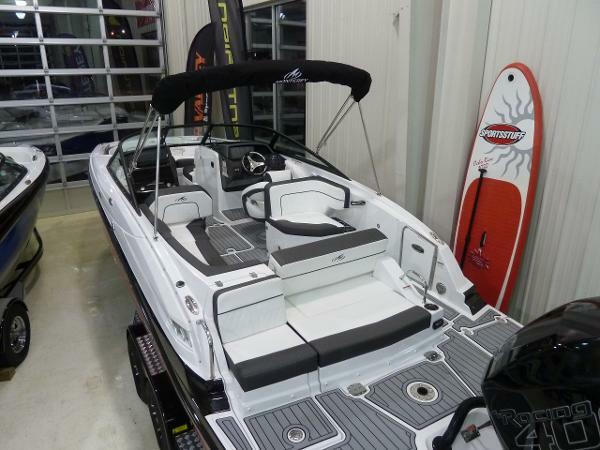 This boat is full of notable features, some that stand out include a Stainless Bow Scuff Plate, Docking lights, Stainless Pull Up Cleats, Stainless Rub Rail, Stainless Cup Holders, Removable Ski Pylon, Bow Block Off Door, Sea Deck Swim Platform and Cockpit Flooring, Bow Boarding Ladder, Bow & Cockpit Covers, Bimini Top, Bow Table, 12" Medallion Digital Helm Display, Stern Stereo Remotes, Port-side Aft or Forward Facing Lounge, Aft Cockpit Sun Island, Dual Battery System with Switch & a Tandem Axle Trailer with Swing Tong! OPTIONS INLCUDE! MERC OUTBOARD 300 XXL VERADO COLOR IS ONYX/ARTIC ONYX CANVAS PHENDER PRO SKI PYLON (REMOVABLE) SEADEK SWIM PLATFORM INLAY GREY WAKEBOARD TOWER - WHITE - ONYX BOW AND CONCKPIT COVER CANVAS - ONYX COCKPIT INLAY - SEADEK GREY LOUNGE STEREO UPG PKG - SPKRS, SUBW, AND AMP STERN MOUNTED REMOTE BOW FILLER CUSHIONS PORTSIDE FORWARD/AFT FACING LOUNGE - ANTHRACITE BATTERY CHARGER W/ DECK PLUG DUAL BATTERY SWITCH W/ ADDITIONAL TRAY ELETRIC HEAD SYSTEM W/ HOLDING TANK PICTURES TO COME!